Christ Church, Church Lane, Pellon HX2 0EF are starting to hold a new Sunday evening service in which will be the first language with interpretation into English. The service is led by Deaf and hearing people. 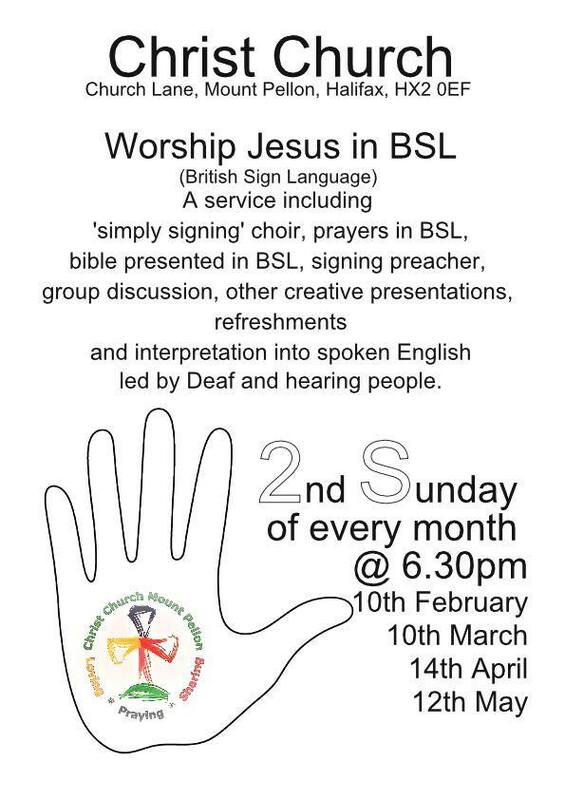 The Signing Service will include a ‘simply signing’ choir, payers and the Bible presented in BSL, a signing preacher and group discussions. There will also be an interpretation into spoken English. The services will be on the 2nd Sunday, 6:30pm of every month so the future dates are 10 February, 10 March, 14 April and 12 May.